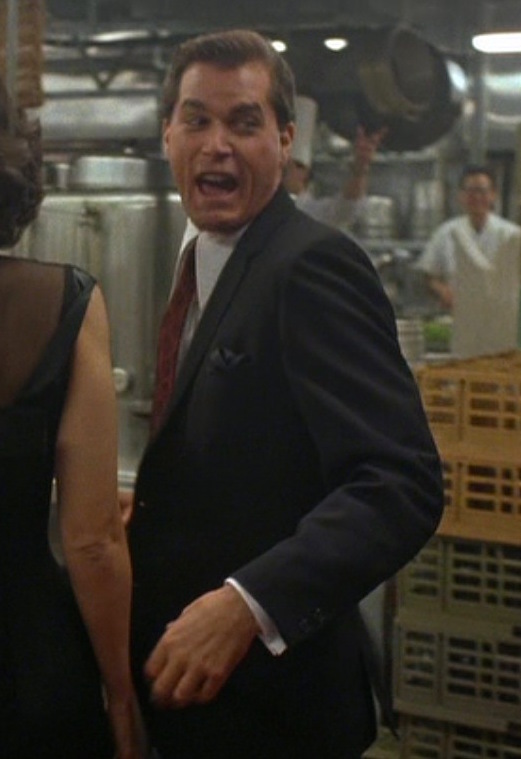 For my birthday today (July 21, same as Ernest Hemingway and Robin Williams), I hope you’ll excuse an indulgent post as I explore the suits that grabbed my attention from a young age and stirred my early interest in men’s style. 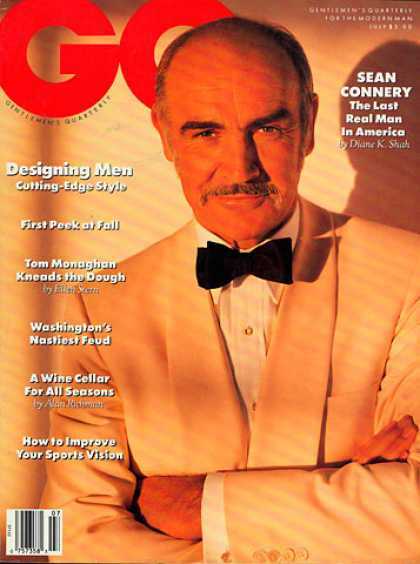 Though, given the dapper white jacket that Sean Connery wore on the cover of GQ the month I was born, I should have known what direction my life would eventually take! While not necessarily the greatest suits to every appear in the movies, these five each contributed to my interest in menswear that led to the eventual creation of BAMF Style a decade later. Interestingly, all of the featured outfits are from period films, highlighting fashion of an earlier era (the 1930s, in more cases than not) and accentuated by a musical soundtrack designed to emphasize the character and the moment. 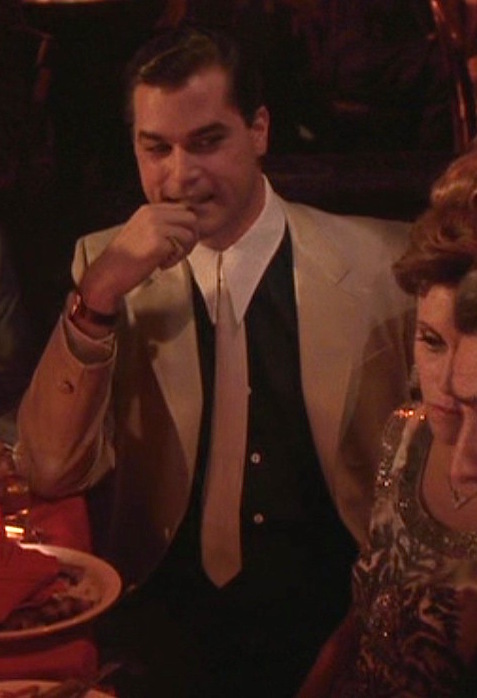 Ray Liotta and Debi Mazar as Henry Hill and Sandy, respectively, in Goodfellas (1990). 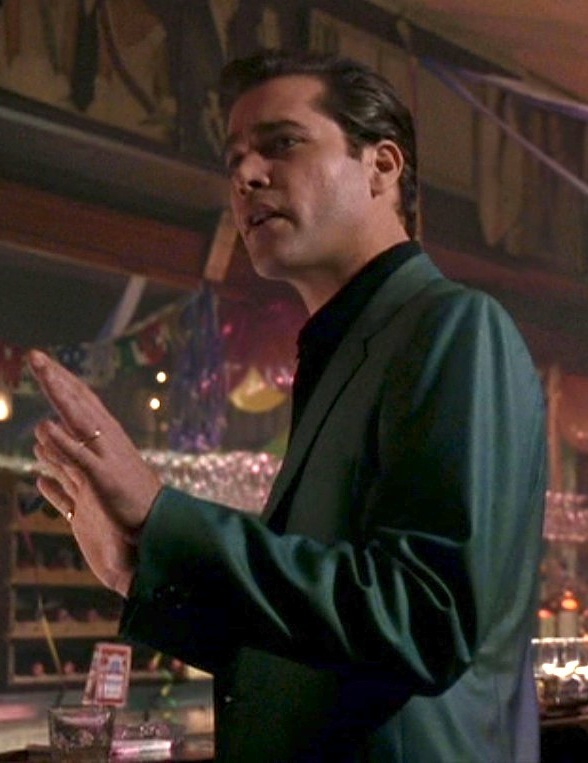 Ray Liotta as Henry Hill in Goodfellas (1990). 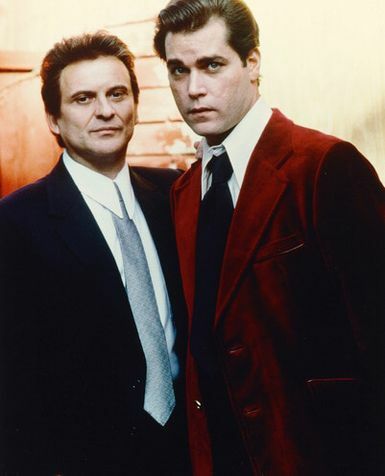 For Mafia Monday, I’m taking a look at what was always one of the more memorable movie outfits for me growing up. It’s gonna be a good summer. 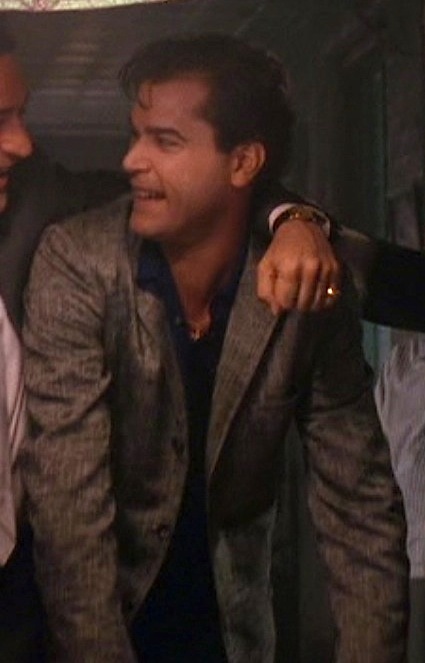 …as Jimmy Conway tells Henry Hill after watching him split up the take from a recent robbery at the JFK’s Air France terminal. Cargo thefts had always been a mob tradition, but the April 1967 heist of $420,000 in cash set a new high mark for the mob as the proceeds were all in “totally, totally untraceable”. No need for shady fences or risky transactions of stolen goods.